Most non-profit organizations can not solely rely on individual donors to met their fundraising goals. While the local business community is an excellent source of support, many NPO’s don’t know how to target them and often leave them out of their overall fundraising strategy. Targeting a business is easier than you may think. We’ll break down our 5 step tried-and-true process to help your NPO or charity organization target and connect with local businesses. Identify. Determining what businesses you want to connect with is the first step. Check with your local Chamber of Commerce to get an up-to-date listing of local businesses and do a bit of research on each. Find out if they have a history of charitable giving or sponsoring events hosted by non-profit groups. Businesses that employ your volunteers and vendors, both those that provide goods and services, should also be on the target list. Connect. Once you have identified the businesses you’d like to develop a partnership with, you need to let them know you exist. After all, if they don’t know you exist, there is zero chance of a partnership happening. Give businesses an opportunity to get to know you before going in for the ask. To start with, send them an information packet about your organization and the good you are doing in the greater community. Next, consider inviting local businesses in to an open house and introduce them to the programs your organization offers. It’s a great opportunity to showcase your work and let them know you are a legitimate organization. Another option is to visit them and get to know the products and services they offer. Strategize. Now that you know a little about the businesses in your community and they know about you, it’s time to determine how you ideally see a partnership working. Do you want to use their name for branding power? Are there goods or services your organization needs from that business? Would a monetary contribution be most helpful? Figuring this out before initiating the “ask” is key. You can always negotiate and see what they counter with, but doing the legwork and strategizing ahead of time is a worthwhile endeavor. Not only will it help to shape your conversation, but will also show your potential partner you are serious when you do go in for the ask. As part of the ask, show them what you will do for them. Whether it be mentions on your social media and website or their name and logo on event banners and other swag. No matter how philanthropic an organization is, they want to know the partnership will benefit both parties so the more lucrative you can make the deal, the better! Ask. Once you have an established relationship and developed a partnership strategy, it is time to ask. In addition to being specific about what you are asking for, you’ll want to address your request to a specific person. Ideally, the person you have developed a relationship with or the person they have directed you do. Include visuals, pictures and videos, showing how their contribution would help your organization meet its goals. Information about specific programs and projects their donations will be used for is also great to include. Keep a record of who you asked, how you made the request and what specifically you were looking for. This should be the start of a long term process and this information will be handy as time marches on and the relationship evolves. Thank you! These two little words hold so much value, yet are often overlooked. Whether you get the support you were looking for or not, it is important to send a thank you. You never know what the future holds and those two words could make the difference of furthering your partnership or ending it. Not sure how to say thank you? No worries! We have you covered. Check out our blog post “The Art of the Thank You” and find out! 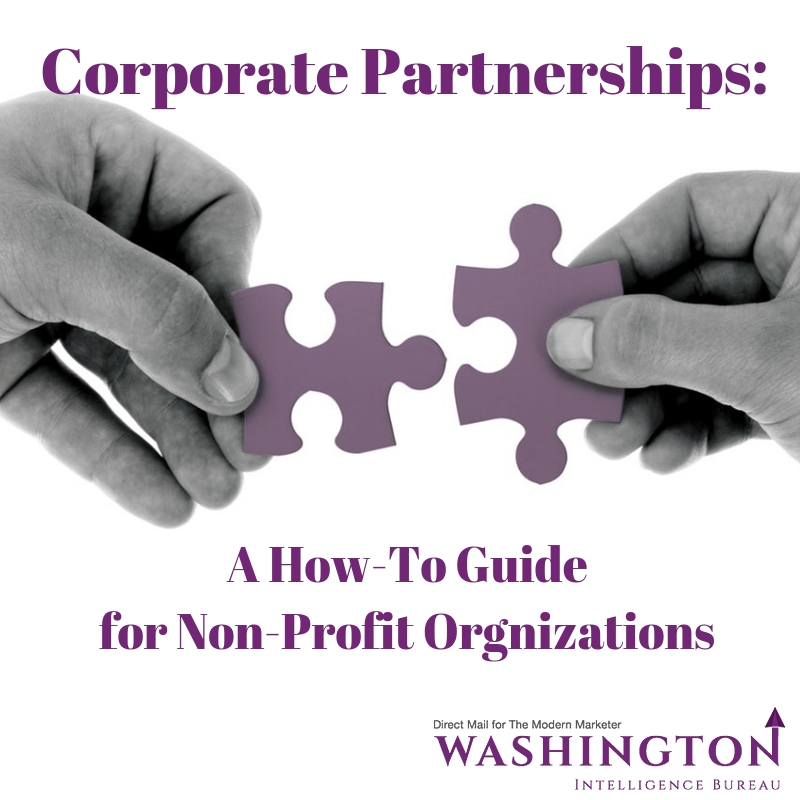 Ready to grow your corporate partnerships? We’d love you to share any tips or tricks you have found when building relationships with local businesses. Pay it forward and share them in the comments!